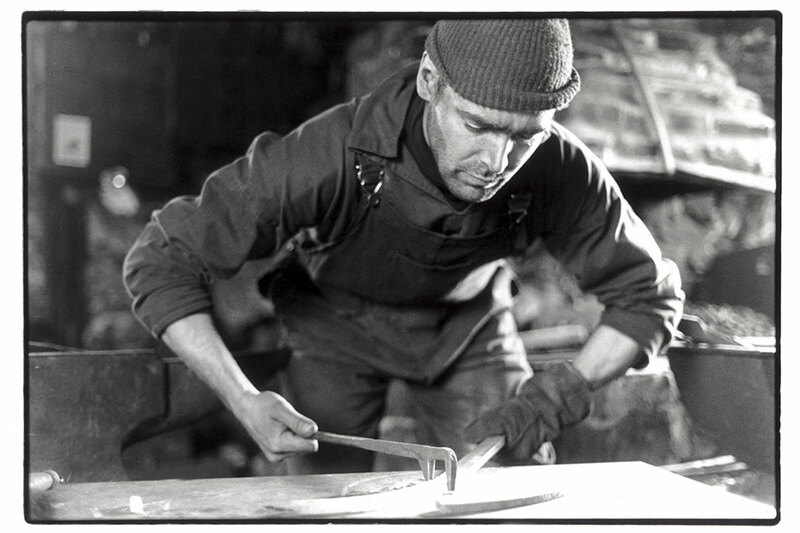 I trained as a blacksmith at Herefordshire College of Technology and the Rural Development Commission in Salisbury. For me, the Forge has been a place of transformation. Grief and anger have found creative expression in the shaping of steel. In the fire a resistant material softens: hard edges blur, new forms suggest themselves, a rearrangement is suddenly possible. You can see examples of my work in the Gallery.